When you think of a bartender in these modern times you probably imagine a harassed, busy, maybe friendly person hastily taking orders and doling out drinks behind the counter in any given restaurant, tavern, or club. 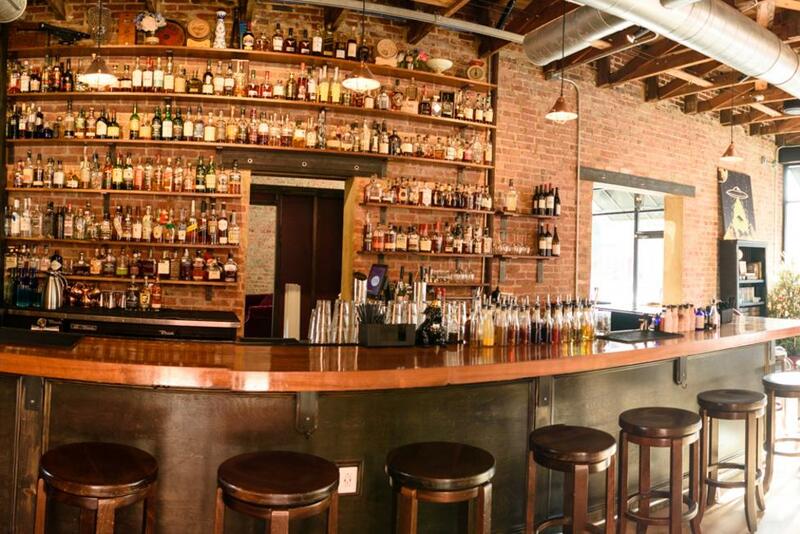 At their best bartenders are welcoming, knowledgeable about the drink menu, and attentive. At their worst, they are rude, short, apathetic and happy to serve you a hastily-mixed version of whatever you ordered. We can blame this iteration of the bartender on prohibition (like so many other things). But before prohibition a bartender was a sort of Renaissance man, able to expertly serve his bar patrons a concoction fit for their preferences and tastes while understanding enough about each of them to know where along the bar to linger, to listen, or to avoid. He was an artist who knew enough about his craft to make the best popular drinks of that era and to even create his own recipes. That definition comes straight from Zack Thomas, bartender and Renaissance man himself. Zack is the Bar Manager and Beverage Director at Clayton’s brand new jazz-influenced cocktail lounge Revival 1869. Revival will be opening the 24th of this month and is the culmination of more than a year’s hard work on the part of owners and entrepreneurs Mike Stojic and Maleah Christie. Both of them immediately knew Zach would the perfect person to be the face of their lounge. Zack’s background includes work at Foundation, a popular Raleigh nightlife spot. Born in Boston, Zack moved to Raleigh in the early 90s and then back to Boston for college where he started bartending. When asked why he then moved back to Raleigh again, he said it was because he missed it too much. So, what will visitors to Revival 1869 experience? Well, excellently crafted cocktails for one. And hot jazz music for another. The bar will feature classic cocktails like the Sazerac, the Old Fashioned, and the Hemingway Daiquiri. A seasonal menu will also feature all original cocktails created in-house. Limited beer, wine, and food items will be available, all with trends towards local and regional sourcing. For example, you’ll certainly be able to find Broadslab Distillery products on the menu. Music will also be a huge focus at Revival. There will be live jazz music every Saturday night and alternating Thursday nights will feature jazz jam sessions and solo pianists and vocalists. 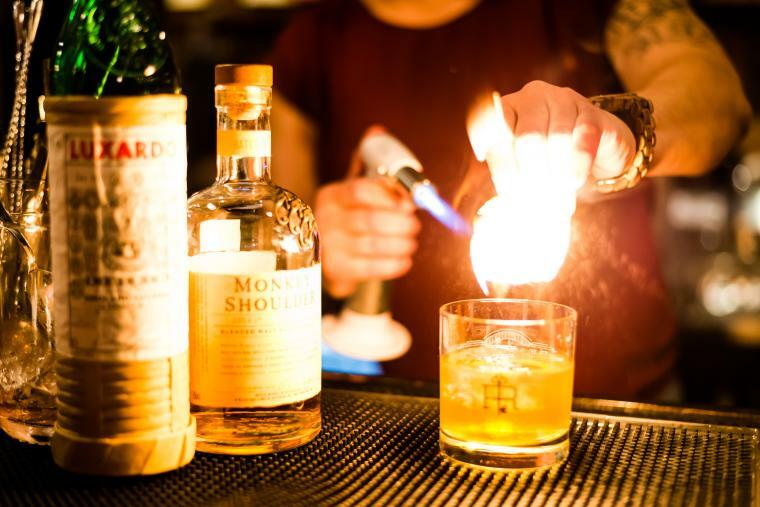 Which brings us back to the resurgence of the career bartender. The best our modern-day vernacular can muster up is mixologist. Which makes them sound like alcohol chemists. Which they are. But, they are also so much more. 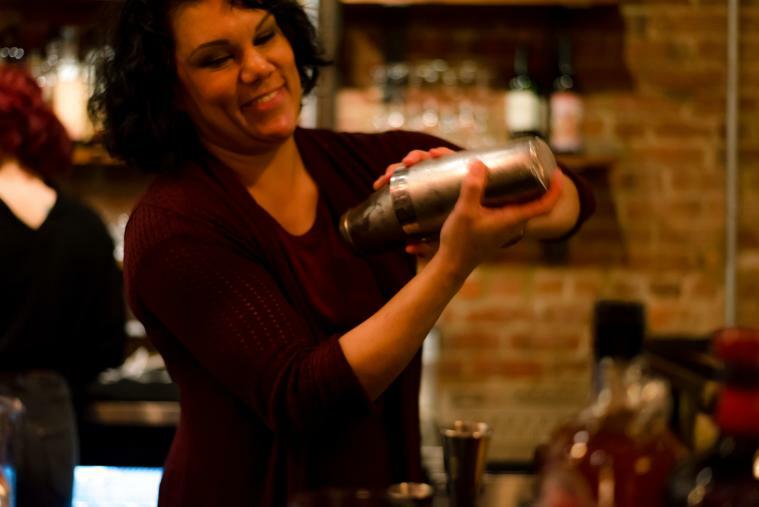 The bartenders you’ll find at Revival, including Zack, will be passionate and meticulous. Finally, the most important question. What is Zack’s favorite drink? A Rum Manhattan, as it turns out, for its rich, decadent, funky vibe. This could also easily describe the atmosphere at Revival. It’s soon to be one of your favorite places to visit in Johnston County. There used to places you could go to relax and unwind. Where you could lounge with friends and discuss important or whimsical things. Where the bartender was a magician and every glass full of his own special brand of magic. Where the gin was cold and the piano hot. And now, in downtown Clayton, there will be again. You could call it a revival. Stay tuned-in to everything going on at Revival 1869 by following their Facebook page. Revival will open its doors to the public on Friday and Saturday evening March 24th and 25th. They will be closed Sunday the 26th. After that, regular hours will be Thursday through Sunday with exact times to be announced.